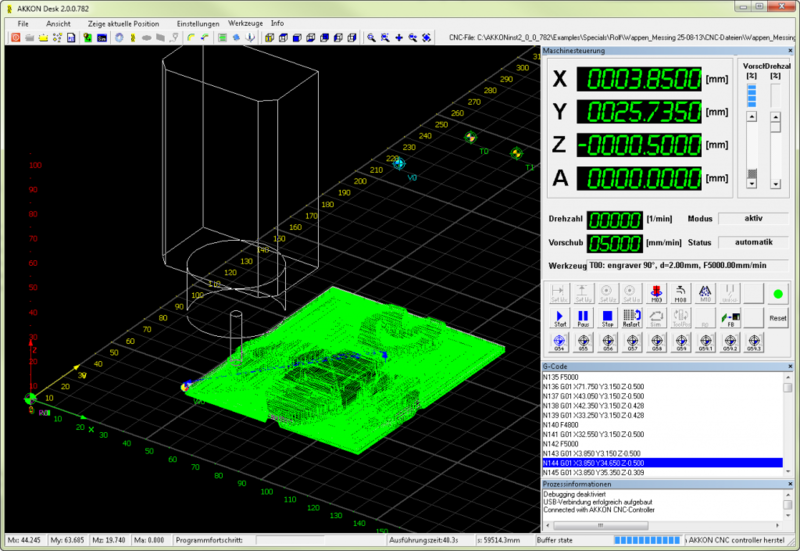 AKKONDesk is a CNC (Computer Numeric Control) software for controlling 2D- and 2-1/2D machines working with G-Code based on DIN 66025. The prgram works in cooperation with the AKKON USB controller board. 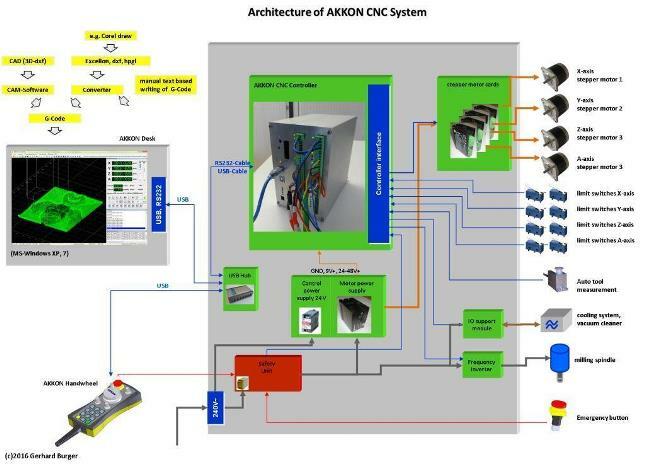 AKKON Desk reads CNC-Code and sends it to the AKKON USB controller. The AKKON USB Controller generates control signals for the machine hardware. The concept is shown in figure 1. The application operates in a manual and an automatic mode. The screen shot above shows the user interface of AKKONDesk.